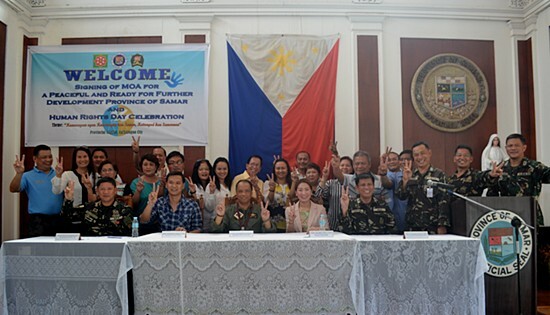 CATBALOGAN CITY, Samar – The Provincial Government of Samar and the 8th Infantry (Stormtroopers) Division, Philippine Army through the 801st Infantry (Bantay at Gabay) Brigade spearheaded the Signing of the Memorandum of Agreement (MOA) formally declaring Samar as Peaceful and Ready for Further Development Province (PRFD). The momentous event was held last December 10, 2014 at the Sangguniang Panlalawigan Session Hall, Provincial Capitol, Catbalogan City, Samar. The declaration of Samar as PRFD caps the successful implementation of the peace and development efforts in the Eastern Visayas region. The activity was well-attended by key stakeholders for the peace effort which includes: Hon Sharee Ann T. Tan, Governor, Province of Samar and Chairman, Provincial Peace and Order Council; Stephen James T. Tan, Vice Governor, Province of Samar; Lt Gen Nicanor M. Vivar AFP, Commander of Central Command; Maj Gen Jet B Velarmino AFP, Commander, 8th Infantry Division, Philippine Army; and, Brig Gen Wilson M. Leyva AFP, Commander, 801st Infantry Brigade. Also present to witnesses the momentous event were Brig Gen Vic C Castro AFP, Deputy Commander for Operations, Central Command, AFP; Ms. Emy C. Bonifacio, Regional PAMANA Area Manager, OPAPP; Mr. Judy Batulan, Provincial Director, DILG; P/SSupt Nolasco K. Bathan, Provincial Director, Samar PPO; Ltc Antonio B. Dulnuan, Commanding Officer, 87IB; and Ltc Siegfred Tubalado, Commanding Officer, 43IB. Likewise, the activity was graced by the different municipal mayors of the Province of Samar, heads and representatives of the different local government agencies and sectors of the society. Hon. Sharee Ann T. Tan, Governor of Samar expressed her gratitude to the joint efforts of all stakeholders in making the Province of Samar as Peaceful and Ready for Further Development Province. She further added that the successful declaration of Samar as PDRP is also a manifestation of the Samarnon’s desire for peace and development. It can be gleaned that through several years of combined efforts of the Armed Forces of Philippines, the Samar Police Provincial Office and the Provincial Government of Samar to combat insurgency problems, the province has gained positive results taking into account the fact that no immense armed offensives by the enemy of the state occurred for the past years. The threats posed by the Communist Party of the Philippines-New People’s Army-National Democratic Front (CNN) in the past have been successfully addressed, thus, threats to stability, peace and order have been reduced, paving the way for development projects to eventually succeed. The uninterrupted economic development activities spearheaded by the Provincial Government of Samar, successfully addressed the poverty-induced insurgency through multi-sectoral and peace and development projects. This was coupled by PAMANA interventions in Samar, which focused on making government felt through delivery of social services and creation of economic opportunities. The increased social participation among our stakeholders have greatly increased, resulting in increased productivity, social cohesiveness among the different sectors in the community and regained the trust and confidence of the people in the government. Further, Peace Caravans were institutionalized as a venue for focused service delivery. All other efforts were made in cognizance of the need for a whole-of-nation approach where all sectors were made to realize the importance of pooling resources and delivering the services directly to the most vulnerable communities. In effect, Samar municipalities were declared as Manageable Conflict Affected and Development Ready Areas. Last August 7, 2014, the Sanggunian Panlalawigan of the Province of Samar, passed Ordinance No. 14-012-14 declaring the Province of Samar as Manageable Conflict-Affected and Development-Ready Area. This is an indicator that the root causes of conflict were appropriately addressed. Winning the peace on the ground was made possible by the strengthened collaboration among various stakeholders for peace and development, and the improved capacities of a converged/ strengthened constituency. CATBALOGAN CITY, Samar – At least 20 fully armed NPA rebels swooped down at the Hanjin-Yakal quarrying site at Barangay Vigan, Gen MacArthur, Eastern Samar at around 9 AM of Dec 10, 2014. The burning occurred a few days after the disaster brought about by typhoon “Ruby” where Eastern Samar was the hardest hit by the typhoon. Based on initial information received by the 8th Infantry Division, Philippine Army, a backhoe and three dump trucks of the company along with seven workers were on quarrying operations along the Binalay River of the aforementioned barangay when more or less 20 fully armed NPA rebels swooped down the quarrying site and took hold of the workers along with the heavy equipment. After a brief talk with the workers, the NPAs ordered them to vacate the area and leave the heavy equipment behind. Said heavy equipment was subsequently burned by the NPA rebels. The Hanjin-Yakal is a joint venture owned by Millennium Challenge Account Philippines which started construction projects in Eastern Samar in April 2013. It is currently undertaking road widening project amounting to P19M from the municipality of Llorente down to Guiuan, Eastern Samar in the south. Currently, the construction firm has completed 30 percent of the project. The 8th Infantry Division, Philippine Army in coordination with the Philippine National Police based in MacArthur, Eastern Samar immediately sent troops in the area to pursue the perpetrators in the incident. QUEZON CITY – “NGCP is fast-tracking the restoration of transmission lines and facilities affected by Typhoon Ruby in the Visayas. We are targeting completion of restoration activities before Christmas,” stated NGCP President and CEO Henry Sy, Jr. The target restoration date was determined after NGCP completed the assessment of its affected facilities through aerial inspection and foot patrol. To expedite restoration, 36 line gangs – 24 from Visayas, 6 from Mindanao, 3 from North Luzon, and 3 from South Luzon – were mobilized to ensure that NGCP complies with the deadline set by the Department of Energy (DOE). “We intend to restore our backbone lines within the week. All our remaining unrestored 69-kV lines in Leyte and Samar will be ready to transmit power to the different distribution utilities and electric cooperatives by December 25,” explained Mr. Sy. The system operator and power transmission service provider, however, clarified that the completion of restoration works will still depend on weather conditions prevailing in the area. Adverse weather may still hamper restoration activities and prevent them from meeting the deadline. NGCP implemented necessary precautions and preparations to facilitate immediate restoration work even before the passage of Typhoon Ruby. These include ensuring the availability of hardware materials and supplies necessary for the repair of damages to facilities, as well as the positioning of line crews in strategic areas. NGCP is a privately owned corporation in charge of operating, maintaining, and developing the country’s power grid. It transmits high-voltage electricity through “power superhighways” that include the interconnected system of transmission lines, towers, substations, and related assets. 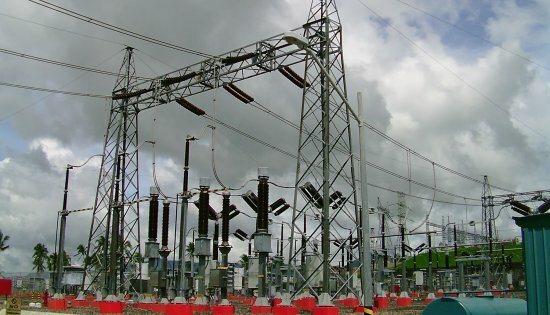 The consortium holds the 25-year concession to operate the country's power transmission network and is comprised of Monte Oro Grid Resources Corp., led by Henry Sy, Jr., Calaca High Power Corporation, led by Robert Coyiuto, Jr., and the State Grid Corporation of China (SGCC) as technical partner. PASAY CITY – The proposed P2.606 trillion national spending package has been approved by the bicameral conference committee today after revisions and fine tunings were made on the budget version of the House of Representatives. Senator Chiz Escudero, chairman of the Senate Committee on Finance, said the approved budget has kept the original amount as proposed by President Benigno S. Aquino III. Escudero, however, said lawmakers made some realignments amounting to P72.542 billion, a big chunk of which came from the Unprogrammed Fund for MRT 3 buyout. “Ang ni-restore lamang sa MRT ay ang pambayad o pambili ng remaining outstanding bonds na binabayaran pa rin natin na 15 percent at ang para sa pambayad ng buwis in connection with the BOT (build-operate-transfer) contract,” Escudero said. In the House version, the MRT 3 acquisition amounted to P53.9 billion. From this original amount, the bicameral panel only restored P7.428 billion for the rehabilitation and reconstruction of the transit system. Also, P6.520 billion was retrained for the payment of taxes of MRT 3 in connection with its BOT contract. The panel also retained P4.4 billion for the remaining equity buy out of the MRT 3. Biggest realigned item totalling to P20 billion went to the rehabilitation fund to cover Yolanda-struck areas and other areas hit by past disasters. Other realignments to the budget went to Trade Remedies Fund amounting to P4.384 billion; P10.694.754 for the incremental revenue from excise for the Department of Health; and P472.485 million for the terminal leave pay of Philippine Postal Office employees. Escudero also said the 2015 budget has adopted the Senate version’s definition of savings in full compliance with the Supreme Court decision on the Priority Development Assistance Fund (PDAF) and the Disbursement Acceleration Program (DAP). The 2015 budget is distributed as follows: Social Services, Economic Services, General Public Services, Debt Burden and Defense. The bicameral committee is now preparing the report for ratification today. DOLORES, Eastern Samar – Greenpeace recently made a visit of solidarity to Dolores in Eastern Samar where Typhoon Hagupit made landfall in the Philippines before weaving a destructive path across the country and displacing more than a million people. Greenpeace International Executive Director Kumi Naidoo visited Dolores on Tuesday, December 9. Together with Philippine climate commissioner Naderev ‘Yeb’ M. Saño and Greenpeace Southeast Asia Executive Director Von Hernandez he met with local authorities, visited schools and talked with the public. They had earlier visited the town of Laiya in Batangas province on Monday night local time, sheltering from the storm front in churches and schools with villagers as the storm front made a direct hit on the coastal community. In Dolores, Naidoo was told 7,000 people of the population of 40,800, were still in evacuation centres, while one person was killed. 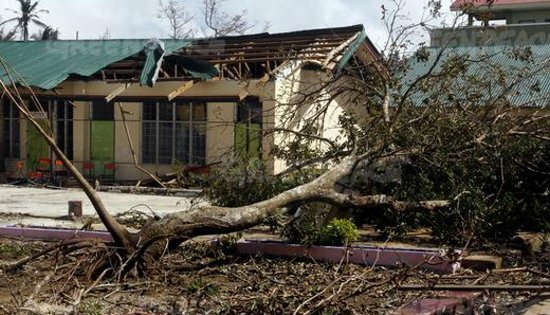 Mayor Emiliana Villacarillo said 80 percent of homes were destroyed and much of the region’s farmland ruined. “This is ground zero of the destruction caused by Typhoon Hagupit. It’s been an extremely humbling experience to spend time here and witness how the community has risen to address the devastation that they’ve faced. There’s a lot of pain and hardship. One life was lost, homes destroyed, infrastructure ruined and agricultural land damaged. Greenpeace is calling on delegates at the UN climate talks in Lima to also stand with the people of the Philippines and deliver an ambitious climate solution and end the fossil fuel age. Real action can also be taken by citizens around the world, by the CEOs of major energy companies and by governments to bring about a future based on 100% clean and renewable energy sources, to end tropical rainforest destruction and shift towards ecological agriculture. Every day lost will add to the burden of devastating climate change. The links between extreme weather and pollution caused by the major coal, oil and gas companies are becoming stronger. Research released in 2013 also showed that 90 big polluters are responsible for two-thirds of pollution in the industrial age. 90 polluters are responsible for two-thirds of pollution. CEBU CITY – Metro Cebu Development Coordinating Board (MCDCB) co-chairman Roberto Aboitiz is impressed and glad over the response of the local government units in preparing for typhoon Ruby. Receiving updates from the Ramon Aboitiz Foundation Inc. (RAFI) assessment teams sent immediately after the typhoon hit the province, Abotiz, who is president of the foundation, said the mayors did their job in preparing their respective localities and “seeing to it that their constituents are at the top of their plans. “They are more focused on what they need to do,” Aboitiz said, adding that the disaster preparedness response was a product of past lessons learned, which to him is the essence of his Bugsay Philosophy, particularly on applying the lessons and continuously moving forward. Dominica B. Chua, RAFI chief operating officer, led the RAFI assessment teams in checking northern Cebu and saw for herself how the towns and the city of Bogo coped with the typhoon. “Even though it was a Sunday (December 7), it was like a work day in the city, municipal halls, which served as command posts and with the mayors overseeing all. I even spoke with one who said he was not able to go home yet because of the preparations,” she said. Chua said the mayors took control of the command centers and saw to it that all preparations were being carried out and all measures were being observed, including the stockpiling and distribution of food and other items at the evacuation centers. “The people felt the presence of the government and their sense of confidence and hope rose,” Chua noted, having visited numerous evacuation centers identified by the local government units. Authorities chiefly cited the preemptive evacuations LGU implemented as the reason why the number of casualties was very minimal. Chua said that having seen the positive effects of good preparation, disaster preparedness should be institutionalized not only by the LGUs but by the respective homes itself. “A change of mindset is very important, to be prepared rather than complacent, knowing that this (stronger typhoons) is now the new normal. We must make disaster preparedness and readiness part of our culture; because as you can see, it made the difference,” she said. This year, RAFI, though the Eduardo Aboitiz Studies Center, held a series of fora discussing readiness for the “new normal,” especially on building disaster-resilient communities and infrastructures, assessing risks, and understanding vulnerabilities. The sessions were aimed to increase awareness of the public and key leaders of Cebu towards making more informed decisions regarding better preparation for disasters, both in terms of physical and social infrastructure; improving response, management, and rehabilitation of disaster-affected areas; and recent trends and new strategies and approaches towards disaster risk reduction and management and climate change adaptation applicable in the Philippine context. Also, Chua said RAFI is eyeing extending help in Samar, particularly Borongan, which is the locality worst hit by typhoon Ruby. She said that following its assessment, the foundation saw that the Cebu LGUs are capable in handling the situation in their respective jurisdictions. As of the moment, RAFI is awaiting updated information from its partners in Samar. The additional information would serve as basis for RAFI how to appropriately respond in terms of providing assistance to those affected by typhoon Ruby. 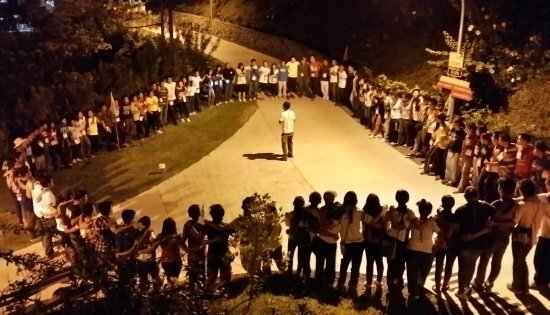 RESCYouth2014 participants, together with KAC Youth Development Program Facilitator Gabriel Lamparas (center), gather during the night activity on Day 1 to uniquely introduce their Challenge Team to the rest of the groups. CEBU CITY – Clear communication, smart planning, decision making, resource mobilization, crisis management and collaboration – these are the principles on disaster response promoted in simulation activities during the Responsive, Empowered and Service-Centric Youth (RESCYouth) 2014 last November 6 to 7. Ramon Aboitiz Foundation Inc - Kool Adventure Camp (RAFI-KAC) facilitated the simulation activities participated in by around 100 youth from different organizations that have existing Disaster Risk Reduction (DRR) programs and projects in the Philippines. “The simulation activities enabled us to have a more engaging learning. It was so real that we were really sweating. The principles behind each of the activity are really effective and important during DRR. But personally, being a responder, to be calm, prepared and proactive also really matter,” said Dionisio Macasait, vice-president of Javierians, a youth organization from Leyte, which was one of the areas hit the hardest by super typhoon Yolanda last year. “The target of RESCYouth is equipping the youth with the skills and principles for disaster preparedness and situational awareness so we align by their objective in that way,” said Marie Sol Gonzalvo, RAFI-KAC deputy director for Youth Development Programs. The simulation activities led by KAC was one of the highlight challenges during the two-day RESCYouth workshop led by the office of Senator Paulo Benigno “Bam” Aquino. "To be empowered is the spirit we want to harness, spread and strengthen. If we work with each other, there is so much we can do for each other and for our fellow countrymen. This is our agenda in RESCYOUTH. We want to have this bigger and better annually to be a powerful network of young Filipinos who believe and make a difference,” said Aquino, chairman of the Senate Committee on Youth and Entrepreneurship. “We hope RAFI will still be there to be our partner in the coming more RESCYouth summit,” he added. Aside from the simulation activities, the two-day workshop enabled the youth participants to actively exchange ideas on best DRR practices, leading to the creation of new schemes that would enhance current DRR management program in different areas of the country. Aside from Senator Aquino, other speakers during the workshop were Mayor Leonardo "Sandy" Javier of Javier, Leyte; Gawad Kalinga’s Mark Lawrence Cruz; Hapinoy Executive Director TJ Agulto; Voltaire Tupaz of Rappler’s MovePH; GMA Network’s Mario Urrutia III of Reporter's Notebook and resident meteorologist Nathaniel “Ka Tani” Cruz. The speakers discussed different topics, ranging from best practices of local government units during disasters, tapping the spirit of volunteerism during relief and rescue operations, and the role of media as information dissemination arm. KAC has been offering leadership and team development adventure education programs for youth and professionals for the last decade. It is a program under the Leadership and Citizenship focus area of the RAFI. It has recently opened the Philippines’ first fully dedicated adventure education center last August 2 in Cansomoroy, Balamban, Cebu. For more information on KAC and its services, contact 260-9000 local 1001 and look for Althea May Santillan, or visit www.kac.rafi.org.ph or www.facebook.com/kooladventurecamp.